20 September 2017: Four Rathbones Folio Academicians were selected by ballot from a pool of nearly 100 writers who put themselves forward for the inaugural Rathbones Folio Mentorship scheme. They have each been paired with one of four students selected out of the total of over 1,300 young people who took part in this year’s First Story writing residencies in 70 different schools across the country. The four mentors and their mentees will meet face-to-face throughout the 2017/18 academic year, in addition to corresponding on-line. 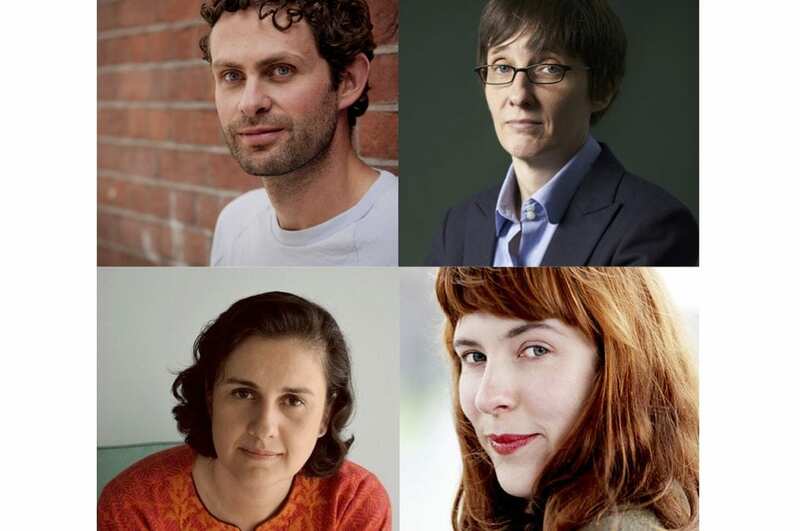 Over the course of the year the mentees will work on an agreed writing project, culminating in a showcase event for the public at the British Library, in the weekend leading up to the Rathbones Folio Prize Ceremony, in May 2018. The Rathbones Folio Prize for the best work of literature published in 2017 will be announced on the evening of 14th May 2018 at a ceremony at the British Library. The winner of the 2017 Prize was Hisham Matar for The Return. The Rathbones Folio Mentorship scheme has been made possible by the generous funding of Arts Council England. A L Kennedy was born in Dundee and has won over a dozen major prizes for her work, comprising 17 books of literary fiction, non-fiction, short stories and children’s literature; her most recent novel, Serious Sweet, was longlisted for the Man Booker Prize. She also writes drama for BBC Radio and occasionally appears on stage as a stand-up comedian. She lives in Essex. Kamila Shamsie was born in Pakistan and now lives in London. She is an award-winning novelist and an acclaimed essayist and media commentator whose most recent book, Home Fire, was longlisted for the 2017 Man Booker Prize. Ross Raisin was born in Yorkshire and arrived on the literary scene with his first novel, God’s Own Country, which won him the Sunday Times Young Writer of the Year Award and was shortlisted for three other prizes. Since then he has published two more critically acclaimed novels, most recently A Natural. Evie Wyld was born in London and grew up in Australia. She studied creative writing at Bath Spa and Goldsmiths University and her two novels, After the Fire, A Still Small Voice and All the Birds, Singing, have won and been shortlisted for numerous awards. She also runs Review, a small independent bookshop in South London. The Folio Prize Academy is a community of 300 + writers who represent excellence in literature and who may be called upon to comment on literature matters in the media, to appear at festivals and public events, and may volunteer to mentor young writers in association with the charity First Story. Academicians include Margaret Atwood, Carol Ann Duffy, Ian McEwan, Salman Rushdie and Zadie Smith, and recently recruited members include Amanda Foreman, William Dalrymple, Jon Ronson, Alan Johnson and Andrew Marr. Rathbone Investment Management is one of the UK’s largest and longest-established providers of high-quality, personalised discretionary investment services. It manages over £34.2 billion* of funds (as at 31 December 2016) for individuals, charities and trustees, and is part of Rathbone Brothers Plc, an independent company with a listing on the London Stock Exchange. Investment management services are offered in Aberdeen, Birmingham, Bristol, Cambridge, Chichester, Edinburgh, Exeter, Glasgow, Kendal, Liverpool, London, Lymington, Newcastle and Winchester. Offshore investment management services are offered by subsidiary Rathbone Investment Management International in Jersey. The Literature/Folio Prize Foundation is a registered charity committed to bringing the most outstanding works of English language literature to public attention through the awarding of the Prize and other initiatives. Overseen by its trustees, the Foundation seeks to engage readers and writers throughout the English-speaking world in cultural debate and in the celebration and sustainment of the art of literature, which it believes has the capacity to enrich and change people’s lives. Since 2008, First Story has run 320 residencies in secondary schools serving low-income communities, giving more than 5,000 young people across the UK the chance to take part in weekly creative writing workshops. We have worked with 150 acclaimed authors and 400 teachers and librarians, and our young people have produced over 100,000 original stories and poems, 335 anthologies, 100 postcards, and six award-winning six word stories. Across the 2017-18 academic year, we are expanding into more schools across Yorkshire and the Southwest.